Once upon a time, in the faraway kingdom of Silverland, a princess named Sapphire was born. Thanks to a mischievous little angel's prank, however, Sapphire ended up with both the blue heart of a boy and the pink heart of a girl. Thus, the new little princess would be as rambunctious and brave as she was gentle and caring. However, all was not well in Silverland. By law, only a son may inherit the throne. To stop the evil Duke Duralumon from becoming next in line to inherit, the King announced to his subjects that Sapphire was a boy. 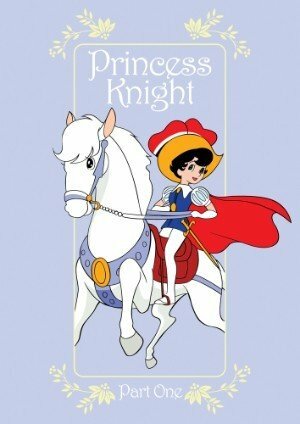 Now several years later, everyone in the kingdom sees Sapphire as a swashbuckling prince. Very few people know her secret. All seems well, but the Duke still lurks in the shadows, waiting for a chance to make his move... Thus begins the story of Sapphire, the courageous Princess Knight, as she fends off the Duke's wicked schemes and fights for justice and the happiness of her people!